Batter and Beat: Put. A. Bird. On. It. 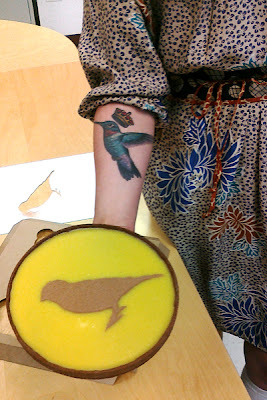 I too, am one of those weirdos who cannot resist a good bird motif...bonus points if it's on pastry. Chocolate and passion fruit curd tart with cocoa powder bird.